Ed Perlmutter is a U.S. Representative for Colorado’s 7th District. Perlmutter was first elected in 2006. Perlmutter supports permanent reauthorization of the Land and Water Conservation Fund, preserving public lands, protecting sage grouse habitat, and limiting methane pollution. He has opposed Trump’s move to scale back national monuments. U.S. Representative Ed Perlmutter Supports Protecting Safe Grouse Habitat. 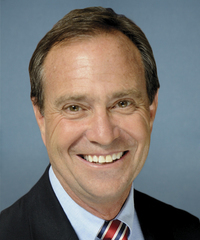 U.S. Representative Ed Perlmutter Supports Limiting Methane Pollution.